Lemons are among the most popular citrus fruits around the world. The fruit, noted for its sharp, sour flavor, is a hybrid of citron and lime. Lemons are touted for their high nutritional value, and have been in use since the heydays of exploration when sailors used the fruit to treat scurvy, a disease characterized by vitamin C deficiency. Lemons are known to contain high levels of vitamin C that helps fortify the immune system. According to the U.S. Department of Agriculture, the fruit provides more than 30 percent of the daily recommended allowance of vitamin C. The fruit also contains rich levels of flavonoids and antioxidants that help prevent the onset of cancer. Lemons are also known to reduce the risk of developing diabetes and high blood pressure. The fruit is known to lower the risk of cardiovascular disease and stroke. 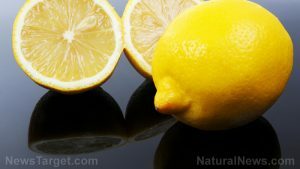 Lemons are also touted to address a plethora of diseases including respiratory disorders, throat infections, constipation, and rheumatism as well as dental problems, fever, internal bleeding, and indigestion. Lemons are found to induce weight loss and stymie the effects of obesity. Lemons are essential in maintaining the body’s pH levels and in preventing bacterial and viral infections. The citrus fruit is also a potent detoxifier that helps flush out toxins, fortify the liver, and promote skin health. Lemons are helpful in preventing inflammation, maintaining healthy digestion, and reducing mental stress and depression. The high potassium content in lemons are found to replenish the brain and nerve cells. Lemons are also known to soothe burns, treat cholera, and prevent kidney stone formation. The citrus fruit is important in maintaining a healthy electrolyte balance by restoring body salts especially after strenuous physical activity. The superfood is helpful in maintaining eye health. Lemons are beneficial to nearly every system in the body. The fruit strengthens the immune system and aids the digestive system in its function. The superfood is also known to promote heart health and improve the circulatory system. The fruit is known to greatly benefit the skin, the eyes, and the teeth. Lemons are beneficial to the brain and the nervous system. The fruit is also important in maintaining a healthy urinary system. Lemons are among the most versatile fruits that can be incorporated in a variety of recipes including many sauces, salad dressings, and marinades. Lemon juice is a popular summer cooler, while lemon water continues to gain steam as a healthy drink. The fruit is also used in a variety of baked goods and desserts. Lemons prevent respiratory disorders, cardiovascular diseases, throat infections, constipation, and rheumatism. Lemons also stave off dental problems, fever, internal bleeding, and indigestion. The fruit also prevents diabetes, constipation, high blood pressure, fever, and kidney stones. The superfood is beneficial to the immune, digestive, and circulatory systems. Lemons also benefit the brain as well as the urinary and nervous systems. 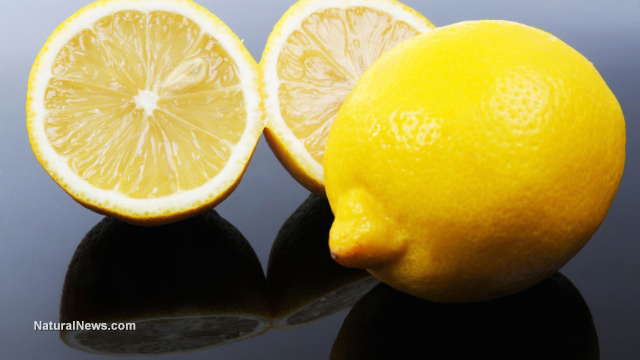 Lemons also support the eyes, teeth, and skin.